LinkedIn has been long ignored by marketers as a boring professional network. Sure, millions of professionals use LinkedIn each day to search for jobs and grow their networks. But it’s more than just a job portal. What they have missed is that LinkedIn has the highest visitor-to-lead conversion rate at 2.74% making it 277% higher than both Facebook and Twitter. 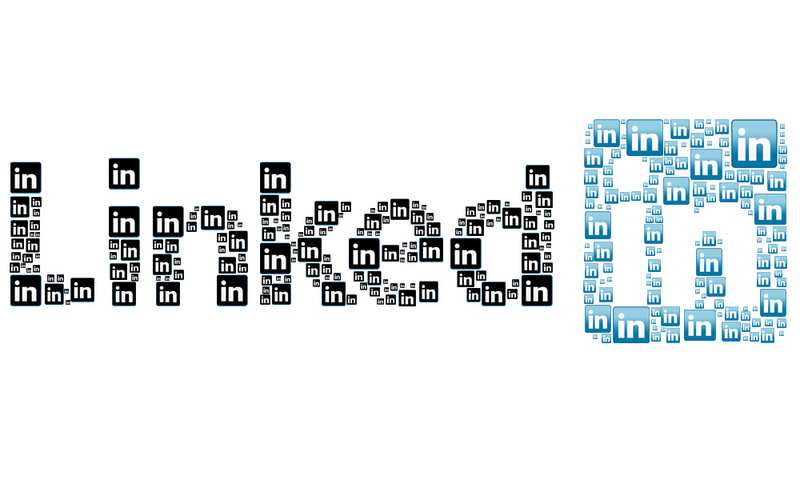 LinkedIn is the world’s largest professional network with over 300 million active members in over 200 countries. More than 1.5 million unique publishers are actively using LinkedIn share button on their sites to push content to their LinkedIn platform. LinkedIn has executives from all the Fortune 500 companies as its members. It’s quite strange that many businesses have barely tested the waters of what’s possible on LinkedIn. LinkedIn is also a search engine that has a huge domain authority. If you Google your name and have a LinkedIn profile, more often than not, it’ll show up on the first page – establishing its authority. Let’s take a look at some strategies that can be implemented to employ LinkedIn as a marketing tool. It is important to have an updated and a consistent presence with your company’s profile page. You should create a clear and a compelling pitch in the company description – the most overlooked section. Have a detailed ‘Company description’ that includes your contact information, target audience and your area of expertise. Images, font and color palette should be consistent with your website and other social media accounts. Page should be regularly updated with fresh content. Include your primary keywords in the description so that your page ranks high in the search results. LinkedIn has a dedicated ad network targeted at professionals. You’d have seen banner ads in your profile that drive clicks to the advertiser’s site or a specified landing page. Often there is no specific CTA on the landing page which is a huge waste of advertising dollars. Make sure your landing page includes the relevant offer with clear instructions on what should be done. Another approach is sponsored updates: You can pay to push the status updates on your target audience’s feed. Sponsored updates work on a pay-per-click or pay-per-impression model similar to other social networks with a key differentiation – the ability to selectively customize according to the industry, job title, job function, skills, groups etc. A sponsored update is an excellent approach to promote yourself to an interested audience with a strong call-to-action. People no more prefer direct advertising and would rather consume something useful sponsored by the advertiser. Hence by promoting your blogs, useful content, and whitepaper you can target a niche audience, increase website traffic and generate sales leads. LinkedIn groups is an important component of a comprehensive strategy that can help to project yourself as an industry leader. Truth be told, most people who join groups and never come back to participate in the discussions. Yet starting a group is a great way to connect with like-minded people interested in your domain. It takes a focused effort to grow your group, but once you it becomes active, you will have a huge e-mail database and a large audience at your fingertips. Good content is always appreciated in the social media – and LinkedIn is no exception. It should teach people on how to solve a problem or how to do their job efficiently. It should establish you as an industry thought leader. Once your post(s) gains momentum and generates likes and shares, LinkedIn puts a spotlight in the respective category, opening the floodgates to a huge audience. It’s a great way to improve your visibility which would’ve otherwise been really difficult. Recommendations is one of the unique features of LinkedIn wherein your colleagues and clients get to share their experience of working with you. This feature directly serves as the testimonial that we normally include in our landing pages. Recommend your colleagues and they will return the favor. More the number of recommendations you have, greater will be your domain authority. Prospective clients look at the user comments before making a business decision which is crucial to you. Therefore, try to get as many recommendations as possible to attract them. LinkedIn is a powerful platform for increasing the reach of your business and attracting new clients. It also presents a great opportunity to stay on minds of employees, customers, vendors, partners and industry influencers. If you don’t have a LinkedIn page yet, it is high time you created one. Have any points for a successful LinkedIn strategy? Share with us in the comments section.